Alabama asks United States Supreme Court to lift stay allowing execution of Christopher Lee Price to proceed. The United States 11th Circuit Court of Appeals Upholds Stay of Execcutiontion granted Christopher Lee Price by Federal District Court. 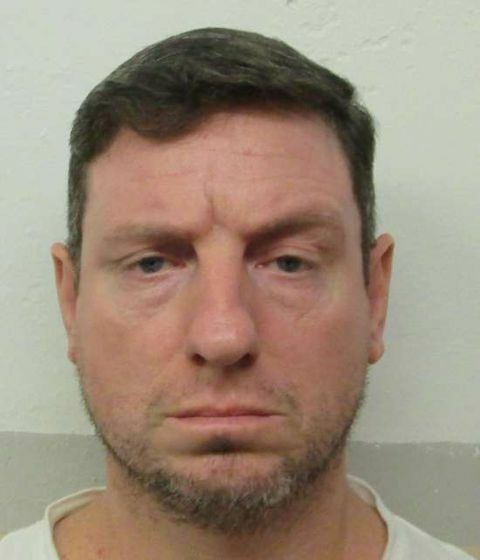 Alabama Attorney General Steve Marshall asks 11th U. S. Circuit Court to lift stay allowing execution of Christopher Lee Price to proceed.Federal District Judge Kristi K. DuBose grants 60 day stay of execution to Christopher Lee Price. Alabama may appeal the ruling. Christopher Lee Price was scheduled to be executed at 6 pm CDT, on Thursday, April 11, 2019, at the Holeman Correctional Facility in Atmore, Alabama. His execution was delayed and ultimately called off after several appeals. Forty-six-year-old Christopher has been convicted of the murder of 57-year-old minister, Bill Lynn, on December 22, 1991, in Fayette County, Alabama. Christopher has spent the last 26 years on death row in Alabama. Early in the morning of Friday, April 12, 2019, the Supreme Court of the United States lifted the 60-day stay of execution granted to Alabama death row inmate Christopher Price by Federal District Judge Kristi K. DuBose and upheld by the 11th Circuit Court of Appeals. Price was aruging that the execution by lethal injection would cause him severe pain and suffering, violating his 8th Amendment rights, and that he should be allowed to choose to be executed by nitrogen hypoxia. In rejecting Price's claim, the Supreme Court noted that Price had waited too long to make his claim, as death row inmate had the option of selection execution by nitrogen hypoxia last year. Price failed to select nitrogen hypoxia at that time. Although the Supreme Court of the United States lifted the 60-day stay of execution by a vote of 5-4, the decision came after midnight, when Christopher's execution warrent expired. Alabama will now have to request that the courts set a new date of execution. Christopher Lee Price has asked the US District Court for the Southern District of Alabama to halt his scheduled execution. Christopher is arguing that he is being denied equal protection under the Constitution by Alabama for refusing to allow him choose nitrogen hypoxia instead of lethal injection. Christopher is arguing that lethal injection could cause severe pain during his execution. The Alabama's Attorney General's Office is countering that Christopher, along with all death row inmates, were given ample time to select nitrogen hypoxia as their method of execution, and that the time for selecting it has passed. Christopher Lee Price is scheduled to be executed at 6 pm CDT, on Thursday, April 11, 2019, at the Holeman Correctional Facility in Atmore, Alabama. Forty-six-year-old Christopher has been convicted of the murder of 57-year-old minister, Bill Lynn, on December 22, 1991, in Fayette County, Alabama. Christopher has spent the last 26 years on death row in Alabama. Christopher Price had previously been arrested for trespassing, vehicular burglary, receiving stolen property, and criminal mischief. Growing up, Christopher had a difficult childhood. Christopher’s father was murdered when he was a young child. Following his father’s death, Christopher was verbally, physically, and, possibly, sexually abused by live-in companions of his mother. The power in the house suddenly went out, however, the security lights outside remained on and the neighbors still had electricity. Bill told Bessie to call the power company, while he went outside to check the power box. When Bessie heard a noise, she looked out her window and saw a man dressed in black, holding a sword above his head in a striking position. Bill yelled for his wife to call the police, but she discovered that the phone lines had been cut. Bessie went downstairs and grabbed a pistol before exiting the house, where she was struck on the back of the head, knocking her to the ground. She got up, fired a shot into the air and ran to help her husband. Bill was seriously injured and told his wife that he knew he was going to die. As Bessie was attempting to start their vehicle, two men dressed in black appeared on either side. They ordered her out of the van and beat her. Then they took her back into the house and demanded money and jewelry. The two men robbed the house of checks and cash in a bank deposit bag, guns, and Bessie’s jewelry, including her wedding ring. The two men searched the house then left through the back door. Bessie ran out the front door and to her father’s house nearby, where she called for help. Bill died before reaching the hospital. Bessie was treated fro her numerous injuries. Approximately one week later, Christopher Price was arrested in Chattanooga, Tennessee, where he had been visiting friends. Price admitted to participating in the crime, however he insisted that his accomplice had killed Bill and injured Bessie. Price was convicted and sentenced to death. A federal judge has rejected Price's request to halt his execution. Price argued that he should receive a stay of execution because the execution violates his 14th Amendment rights, which provides for equal protection under the law, by refusing to carry out the execution using nitrogen hypoxia, a new method of execution that was approved and signed into law in 2018. However, the state does not currently have a protocol established for such an execution, nor the means to carry out an execution in such a manner. Additionally, following the passage of the law, the state allowed each inmate to select their method of execution in a timely manner. Within that time, Price did not select that he wanted to be executed by nitrogen hypoxia. Please pray for peace and healing for Bessie and for the family of Bill. Please pray for strength for the family of Christopher Price. Please pray that if Christopher is innocent, lacks the competency to be executed, or should not be executed for any other reason, that evidence will be provided prior to his execution. Please pray that Christopher may come to find peace through a personal relationship with Jesus Christ, if he has not already.